Masahiro Sakurai has taken to Twitter to confirm what we perhaps already knew — next week's E3-flavoured Nintendo Direct will contain footage of the new Super Smash Bros. title. Notice: On the June 11th 11PM Nintendo Direct, the first footage of the new Smash Bros will be aired for the first time. For the first time, simultaneously worldwide! Don't miss it. The new game will be hitting both the Wii U and 3DS. Excited yet? I can't wait! This is going to be great! Ironically, the man who left Nintendo because of the constant sequels... is now tasked with trying to follow up Super Smash Bros. Brawl. The world is watching, Sakurai. And once this thing hits the 3DS our social lives are over. Nice! Not sure which version I will end up getting, maybe both! I'll be one of the first ones in line for the hype train. Not even going to lie. It's almost time. Nothing else matters. Oh my gosh yes!!! My body is ready for E3!!! This E3 is going to be amazing. I hope I don't get killed or die! I want to live to see this! HELL we are not gonna miss it !! @Phantom_R Well, I'll be playing on Wii U and 3DS. I cringe a bit when people refer to Wii U and 3DS games and only say 3DS, but it's understandable. Oh man I hope I see it. Not sure because of my schedule, but I'm excited, that's for sure!! Well I'm impressed they'll have something to show for a game I don't see coming out for a long time yet. I'm really anxious to see what it looks like. SSBB was an early Wii game but I'm not sure anything looked better on the Wii except maybe SMG2. MHTri was close. Oh well, less than a week now. @Marakuto Believe it or not, the only other time I had this feeling was when SSBB was nearing it's release. Darn why is time passing so slowly! 3DS-Wii U cross platform play! Also im curious to see how they handle the 3ds vers. That cartoon network punch kick whatever game proved to me that 4 player brawling on the handheld isnt ideal as the camera can't showcase the action properly. Sweet Jesus... I can't wait! @Joshers744 - I am the conductor of the hype train, so welcome aboard! i just dont like them, and you are right, toon link also, i liked young link more instead of toon link lol. i want the main character from the new anounced Xenoblade game for WiiU. nintendo has a lot of cool first party characters. I'll be really interested to see how different the two versions are, particularly whether the 3DS version will just be a lower-res version of the console game or if it will do things to stand out on its own terms. @RevolverLink im hoping they use a tag system for the 3ds vers or limit it to 2 player combat due to the small screen. My body is so ready for this game. When I got Brawl, I played it for months. I'll probably pre-order both versions, even thou I don't have a Wii U yet. I still think it's too soon. Development has "barely" (as in Sakurai standards) just began. I want it to be the BEST Smash EVER! I played Brawl for years! 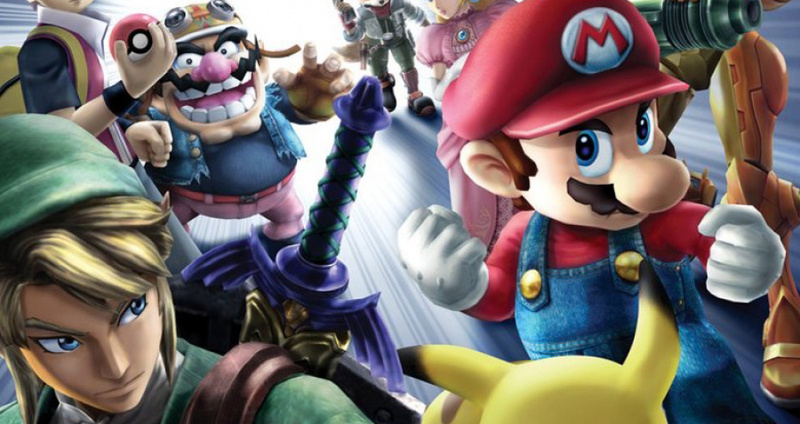 Smash Bros. 3DS and Wii U will not be an exception! Day one buy whenever it comes out. I would cry for almost a moment in time if Jigs was removed. Sad I won't be demoing this at Best Buy from the sound of it, since he only mentions video. Will Japan's direct be first? @Nintendude789 but arena battlers like ki dont zoom out as your character is always front and center. If brawl were on 3ds at times your character may only be a few pixels tall. @3Daniel But duels in SSB are soooo boring! I like when it's very chaotic! @Yrreiht im there with you. I have no doubt the wii u vers will be awesome but the 3ds vers is more concerning to me. Perhaps if they use smaller stages. Cant wait for the reveal tho! I take a day off, just to see that! I hope they don't remove any characters, actually. I just want to see both versions in action! @HeatBombastic Well, Smash Bros. on a console is nothing new. It's Smash Bros. wherever we go that's gonna kill us. Oh God, I can barely breath from the excitement now! I'll get it for Wii U, but I think the 3DS version will sell very well indeed, and along with 3DS Lego City convince people to buy a Wii U to play the proper version. @Joshers744 AGREED! Melee should have support here. I would love that as a Wii U title for digital download. Imagine the amount of sales Ninty would have. I don't know about you guys, but I'm DOUBLE DIPPING BABY!!!! I got to have both versions. Wii U and 3DS!!! I guess I will be handing out my friend codes here pretty soon. Finally! I've been waitin for almost 2 years! @Ideal_Hero After playing so much Borderlands 2 lately, I read that as conductor of the poop train. So ready for these games. 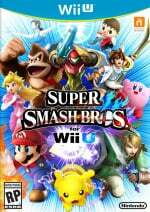 Brawl was great, but I really hope that the new SSB game can be as top notch as Melee was. Maybe I have a soft spot for it since it's the first one I played... But regardless, ill probably purchase both on day one. Gotta love Smash! Too bad I can't watch it live because I've got summer marching band on tuesdays, but I'll definitely watch it when I get home. Hope there's things that can only be done by having both versions! Never been into the Brawl series. It's fun but so overrated. I think I wait with it till it drops some in price. I'm more excited about the new Mario Kart. Hope it will be good. This is awesome, if not very surprising. I am excited for E3 and the whole flood of NL articles that will come with it! Awesome. If it has online multi-player, I'll definitely be getting the 3DS version. Presumably it wouldn't need to focus on everyone at once as only one player will be using the screen? Or at least this could be switched with the tap of a button. I'm honestly surprised we're getting anything more than screenshots considering how recently it went into development. Maybe Nintendo is getting their act together as far as development time goes. @AJWolfTill hopefully the two screens would give 2it viewpoints. One a closeup and the other full view of battle. Not being able to see what your competition is up to would hinder gameplay. Imagine not seeing your opponent carrying a bombomb because they arent in sight or if you couldnt see someone edge gaurding because the camera was focused on you off stage. MAN!..Too bad i,m working right now so .. it,is impossible to perform my combo Happy dance + strange scream. Hey better they don,t get rid of my all time favorite punchbag Jigglydumb! @Einherjar Namco worked on Star Fox Assualt, which to me is an excellent game and I am sure they will do a great job. And of course it will be a day one purchase for me, hopefully not holiday 2014 though as I hope to be playing the new Zelda game then. Lord. Never has five days seemed like so much time. This looks like a preorder. Something I never do. 4 days, 19 hours, 11 minutes and 10 seconds to go until E3!!! @TwistedRabbit Ha ha! That picture really represents this! This is great news. I can't wait to get this on Wii U! Who knows, I might get the 3DS version later on. I am now officially hyped about a Wii U game. Hopefully we'll be able to play on the Wii U by playing it on our 3DS, similar to Monster Hunter 3 Ultimate. By the way, the news of Super Smash Bros. U appearing during E3 didn't surprise me, but what did surprise me is that they will show a footage, as I thought they would only show screenshot! My brain just got falcon punched. I can't wait to see the new footage! Don't buy it at day one release, PRE ORDER IT! ....anybody else alittle worried it's going to be a 10 second teaser, with like, a quick animation of Mario or something punching the screen or something? @Nintendude789 Dude I think that goes without saying. Preorders alone will reach unheard of numbers for the Wii U currently. THEE moments when a trailer for the game or gameplay itself has emerged...you'll hear the buzz about the preorders going through the roof! @Marakuto LMFAO!!!! BEST COMMENT EVER!!!! In all seriousness, me too!!! All I need is Mario & Mr. Game & Watch on both versions cause I'm gettin em!!! Who else is literally CURSING over their work schedule on the 11th? @Joshers744: If it's more than a 5-10sec. teaser clip of something similar to what you mentioned, I won't be surprised if it changes drastically, by the time the game hits. If it (is more than what you said it could be, &,) stays consistent by the time the game hits, it will mean Nintendo had a better time developing this, had a huge amount of help from Namco, &/or possibly went into this Smash title more knowledgable, & prepared for what they wanted it(the final product) to be. I don't own a WU yet, but I think I will proceed to do what I done for the Gamecube; before I got one, I had Melee for months. Melee was my first Gamecube game; wish I had never sold it sometimes, though it did provide Christmas present purchasing money(for others). I love my 3DS, use it quite literally everyday. I am skeptical of that ver.s of the game. I'll wait, & see. namco in this gotta mean Pac Man. I love Pac Man!! Would be cool to see him in smash universe. Literally can't control my excitement right now. Also, so pumped for this game! I've been waiting for more info on this game!! Definitely getting it! This will spark up Wii U sales! I think I'll get it for my 3DS, because portable Smash Bros is too cool an idea to for me to pass up (also don't have a Wii U yet). Can't wait to see what Nintendo unveils this Tuesday. Super Smash Bros., Mario Kart U and Super Mario U! Throw in some Skylanders SWAP Force info and I'm spoiled this E3 season! If my boy Mega Man manages to make it in i'll start crying pixels & bits! Simon Belmont and Bill rizer would be the NintenIcing on the cool spot cake. Lol then the captain N team is complete. Yeah Megaman would be nice tho. Id really want to have the guy from Xenoblade in it. i think sonic will be back, and maybe someone from ubisoft, with the support they are giving. i loved the dramatic story/Adventrue mode in brawl, so i hope they can top that one. the cutscenes just brought the characters to life. I just hope the 3DS version will be good, because I don't have a Wii U yet. @The-Chosen-one I know it's just a mode in a game filled to the brim with content,but I hope they improve the adventure mode a little bit. It was too repetitive on Brawl. That said,the cutscenes were extraordinary. I really hope they do that kind of story mode again,because that was the best fan service ever. That Great Insvasion cutscene ...goosebumps every time. Getting it for both the Wii U & 3DS day one! Going to make top 10 on the leaderboards, I'm calling it now! @Phantom_R Why would you get the 3DS version? The only reason people play Super Smash is to play it with friends...which...is kinda impossible to do on the 3DS.